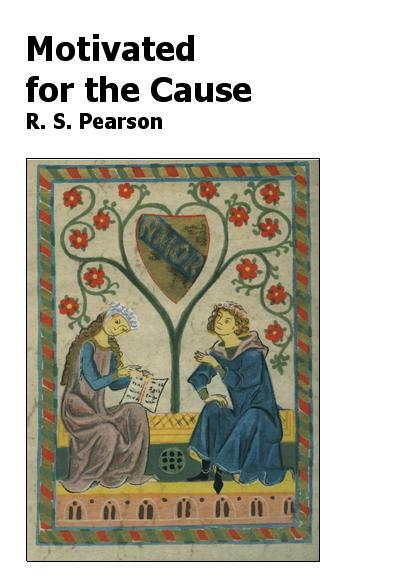 "Motivated for the Cause" was finished when Robert Pearson (pen name, R.S. Pearson) was barely 22, back in June of 1985. He wanted to put into the book the "boundless hopes and ideals of youths" because he realized that such are often lost as one fully matures into the adult world. The author had already been writing the Virtuism aesthetic theory and also the beginning of the experimental language theory that formed the basis of ParaMind Brainstorming Software. The author was always an environmentalist, and some of the foundations of his "Biodegradable Technology" essay can also be fond in this book. This essay which was formalized in 1992 and partially written by 1987 pre-dated many of the modern plant genetic technologies we are only now starting to see today. See a link to the essay here soon, or find it on the author's personal website, found in the links section. "Motivated for the Cause" is a double-entendre: it refers to being motivated for the cause of our existence, in a sense the spiritual quest, and it also refers to being motivated for the cause to make life great, to be in the full of art and experience. This work is anti-novel which means a literary form that has none of the conventions of the novel (a definition from Webster's). This book is actually mostly composed of poetry, but it is poetry that has been taken out of verse form and put into paragraphs. This book is work that strives to uplift the soul and bring it into new experience. Many people have witnessed an increase in their own creativity by reading it. Beautiful poetic language sections are placed together with deep, philosophical questioning of our purpose and place in the universe. The book stretches the reader's mind and delivers an important message of virtue. The "Motivated for the Cause Press Release"
Here is a sample of Motivated for the Cause," containing the Preface and first two chapters.